After the success of Saturday's lunch, the club will be putting on another Six Nations Lunch for Scotland's second game against Ireland. Scotland look to improve on their winning performance over Italy with Ireland looking to bounce back from their opening defeat to England. We will be offering a 2 course meal and a pint of beer* for £7. This weeks menu is Potato Soup followed by an Irish Stew. 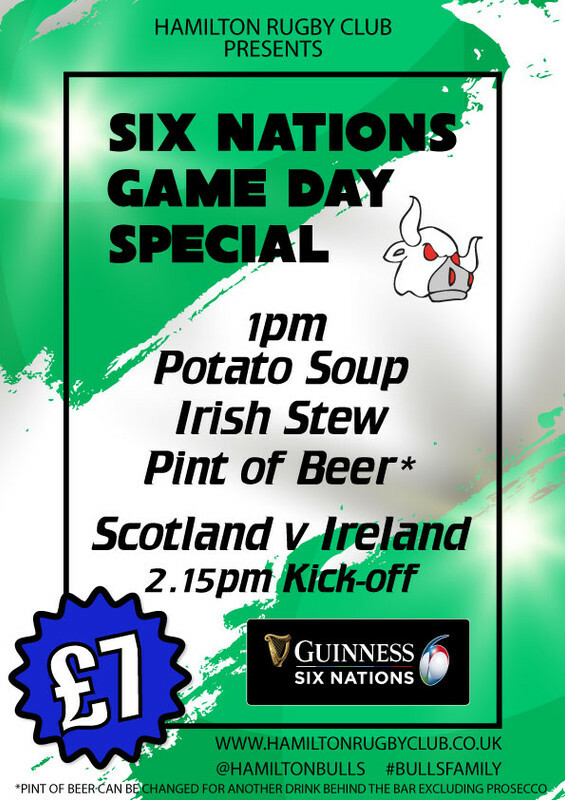 Food will be served at 1pm with the Rugby kicking off at 2.15pm. Lunch spaces need to be booked to avoid excess wastage. Please book your space via Tony Malley before close of play on Wednesday 6th February. Scotland vs Italy - Guinness Six Nations  Lunches sold out!